Our beautiful daughter, Maia Lily Douglas, was born at Barnet Hospital, London on the 4th July 2013. Maia was born with two visible porcelain white circles on her forearm and her thigh. Obviously no one at the hospital knew what it could be but we were told she was healthy and we were sent home with an appointment to see a dermatologist a few days later. The lesions began to turn into what looked like cigarette burns shortly after and our journey from one dermatologist to another began as we tried to find out what they were. On the 14th July 2013 when she was 10 days old she began to vomit a bright green fluid and shortly after arriving at Barnet Hospital we were immediately rushed to Great Ormond Street Hosptial. After some confusion Maia was diagnosed with Sepsis and after responding well to antibiotics we were sent home a few days later with yet more appointments to see dermatologists. Eventually we were asked to come back to Great Ormond Street in order for the doctors to carry out a biopsy of one of the lesions which at this stage were appearing all over her body and we had even noticed lesions inside her mouth. She was 7 weeks old the day one of her eyes stopped moving and we returned to GOSH for the biopsy. By chance a doctor happened to be there who had heard of Degos. Possibly from baby Rio Carroll in Birmingham who is mentioned here. We were immediately admitted to the hospital and we went with Maia from one department to the next whilst she underwent test after test. One week later Maia was officially diagnosed as the first and as of 12th April 2019, the last patient to ever be treated and seen at GOSH with systemic Degos Disease. She sadly passed away at 9 weeks on the 7th September 2013. I’m genuinly sorry to have not shared her story until now. I have tried many times. I was contacted by Dr Veronica Kinsler at GOSH recently as they may have found a genetic link and needed samples from our two other children. Our son, born in 2010, is 9 now and we have since had another daughter in November 2014 both of whom are healthy and well. 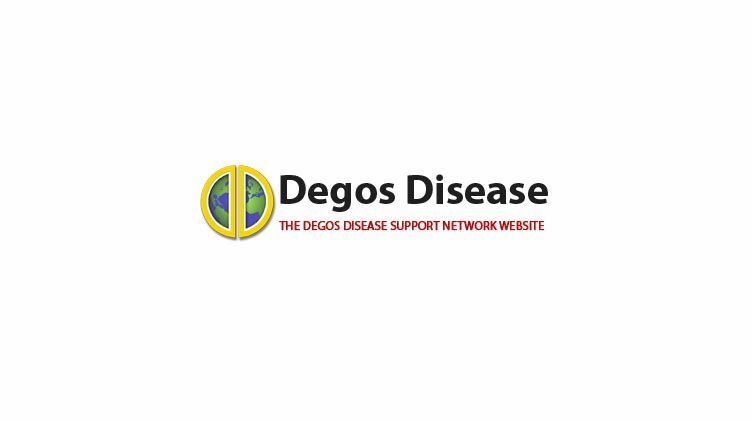 At this stage the genetic link is unconfirmed but the doctors at GOSH are working incredibly hard to identify any possible genetic links that may one day prove important in diagnosing Degos and hopefully much more. We feel incredibly blessed to be Maia’s parents and hope that her short life will prove to have lasting significance.